Following an investigation by Thames Valley Police, a man has been jailed for 19 years for setting a woman on fire in Milton Keynes. Raymond Bowen, also known as James Bowen, aged 24, of Somerset Close, was sentenced at Luton Crown Court on Friday to 19 years' imprisonment and an extended licence of 5 years. He pleaded guilty to one count of attempted murder at a previous hearing. Bowen set fire to a neighbour in Somerset Close on November 17 last year, leaving her with severe burns to a third of her body. The victim is still in hospital. 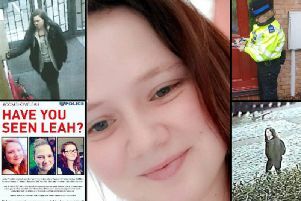 Investigating officer, detective constable Laura Herrington said: “The victim, due to her injuries and the trauma has been unable to recall exactly what took place in the flat, the evidence however suggest that she was acting as a good samaritan and had tried to intervene in a domestic dispute involving Bowen. “During the incident Bowen poured petrol over the victim and set her alight with a cigarette lighter. “This was an unprovoked attack and has left the victim with life changing injuries. Initially, medical experts didn’t think she would survive the assault. “Thames Valley Police continue to support the victim and her family at this extremely difficult time. “I would like to pay tribute to the victim for her immense bravery and thank all the witnesses in this case for coming forward. Without the fast actions of member of the public, the victim probably would not have survived.